The Original 0.5L Bottle from Sigg is a look back at one of their original bottle designs from the 1940s and features the original Sigg logo on the lid. Made out of aluminium, it has a wide mouth to make it easy for cleaning but also to add fruit or ice to your drinks. It is lightweight and strong with a durable and elastic internal coating that will protect it from acidic drinks, it is also 100% safe for sparkling beverages. 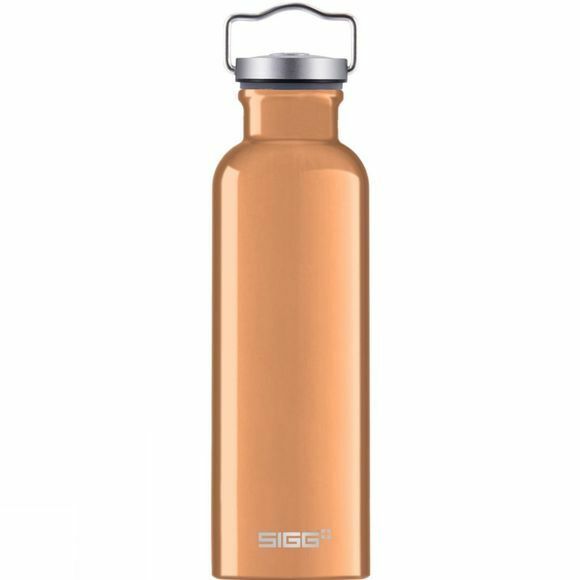 All Sigg bottle are free from BPA and phthalates for safe drinking and the easy to use aluminium/plastic screw cap is secure meaning the bottle can be carried with just one finger.